Automating processes in your warehouse can help you accomplish your goal to reduce supply chain costs. Professionals can visit your warehouse, assess your operations, and provide you with helpful advice on how you can automate your supply chain to make the system run smoother and more efficiently. For more manufactured products, transportation costs are only two to five percent of the total cost while inventory levels (raw materials, components, and subassemblies) can make up 55% to 75% of the total cost. 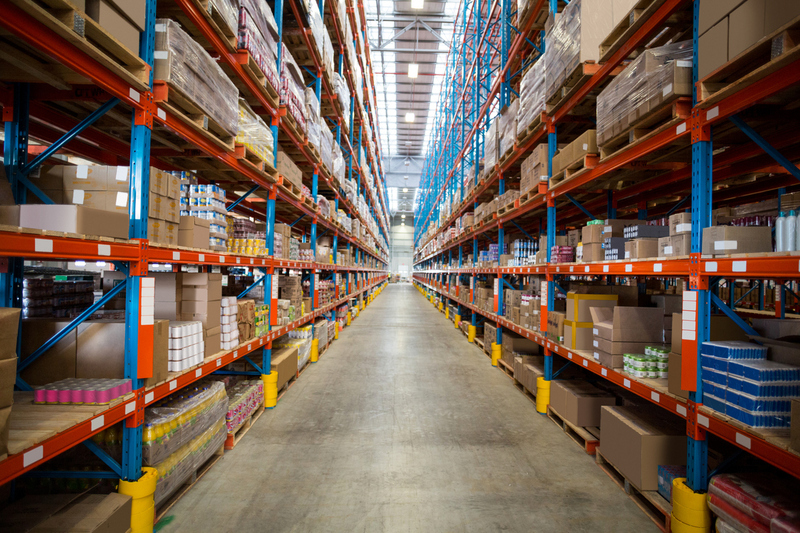 You can experience huge cost savings by implementing a Just-In-Time (JIT) inventory management system, which allows you to order and receive inventory as you require it rather than storing mass amounts of unused stock. This reduces your carrying fees and eliminates overhead stemming from excess inventory. You can save money by making the most of the space you have within your warehouse. Storing inventory and supplies comes at a cost, so it is a great idea to assess what you are doing with the space you have. If you notice you are paying too much for the space you have, consider downsizing to a smaller warehouse that reduces cost and the amount of time it takes to find products. In the long run, you’ll save on rent and payroll costs. Regularly monitoring client demand patterns to see which areas need to be adjusted can help you reduce supply chain costs. If you notice patterns change each month or by season, you can use this information to order supplies more accurately. There are several ways to make your ordering process more efficient. Using a single software package to complete requisitions will prevent you from dealing with the frustration of employees using different applications and ordering too many products or supplies. Implementing an approval process can also prevent any product from being ordered without the consent of designated officials. While many e-commerce web sites are offering free expedited shipping, it is not the best way to encourage customers to check out their shopping cart. If a customer finds value in a product or service, they will pay extra to have the product shipped to them faster. Due to the convenience of expedited shipping, customers who want a product in their hands urgently will not abandon the cart. This is a great way to increase your profit. The majority of businesses out there implement some form of outsourcing within their supply chain operation or management. 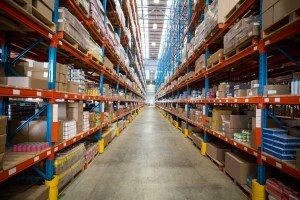 In fact, warehousing and distribution are the most outsourced functions of the supply chain. There are plenty savings to be had when you outsource some or all of your operations, but before jumping to it, look at your pricing and compare your costs to see if this option is valuable to you. It may seem like you would be increasing costs to improve your packaging, but there are many savings to be had when your packaging is more durable. The better you package products, the less the chances are of your valuable items getting damaged during the shipping and handling processes. Proper handling is also required, so be sure to speak to your employees about how to handle products safely and carefully. Planning your sales and operations ahead of time is arguably one of the most effective ways to reduce e-commerce supply chain cost. By forecasting the demand of consumers, companies can better prepare in terms of inventory, labor, technology, and transportation. By considering delays and anticipating changes in the market conditions, business wonders will be able to design a custom plan that allows them to make the most of all of their resources. Avoid disruptions and consistently meet demands when you have a solid sales and operations plan on hand. Another technique that you can use to reduce the cost of your supply chain is to simply analyze the total cost. There are many variables that contribute to the total supply chain cost that you can’t control, like taxes, insurance, and handling fees. Instead of stressing over these charges, focus on the expenses that you can control. Evaluate your transportation expenses, think about consolidating freight, and automate your bills of lading. Logistics expenses account for a huge portion of supply chain costs, so it’s definitely worth looking into your operation—you might find more opportunities to save than you think. A main supply chain cost driver for businesses is the lack of flexibility in their strategy. Service requirement and business goals change, sometimes frequently. Having a supply chain strategy that can’t accommodate this fluctuation has the potential to waste money in some areas. Your strategy should analyze productivity and efficiency measures by supporting a reliable carrier and shipment network. Having a flexible supply chain that can facilitate change will help you identify and reduce costs while creating expectations and alternative procedures. Reviewing the metrics of your supply chain on a regular basis is a critical step in making it the most efficient process possible. This is a great way to gain and deep understanding of your supply chain and can allow you to review individual processes to see where you can improve. When looking at transportation procedures for cost saving opportunities, metrics like cost and performance analysis can show you specifically how to improve productivity, payments, and visibility. Are you at a loss when it comes to trying to reduce the cost of your supply chain? APS Fulfillment Inc. can help you. We work with a variety of small and medium-sized businesses that don’t have access to the resources or manpower necessary to handle their e-commerce operations. We empower our clients with our affordable and professional warehousing and delivery services. If you think your business could benefit from our fulfillment services, contact us today to learn more.